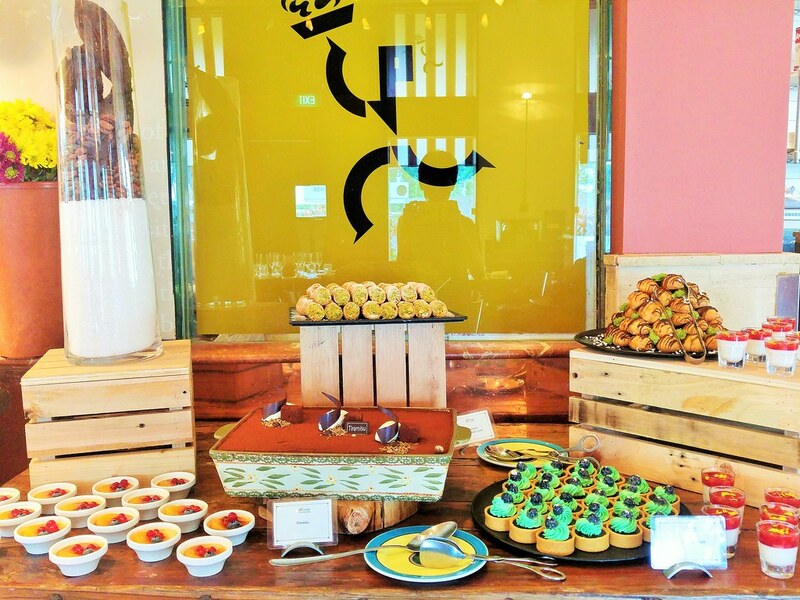 Prego’s Seasonal Sunday Brunch at Fairmont Hotel, led by Chef de Cuisine Antonio Facchinetti and his team has launched an all new Sunday brunch buffet. 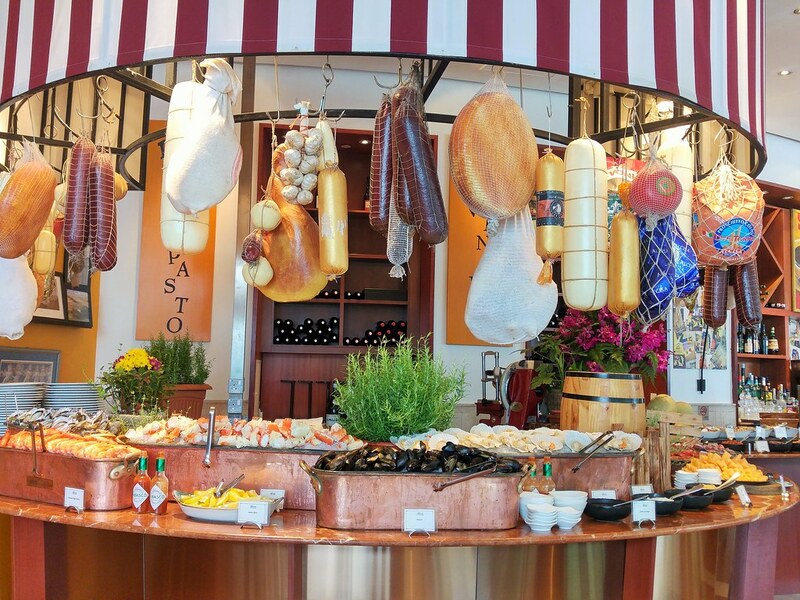 Apart from offering all time favourites and classics, this new seasonal sunday brunch showcases new highlights such as live pasta crafting and risotto bar; a meat and seafood grill selection that is prepared à la minute and various seasonal stations on rotation based on seasonal produce. 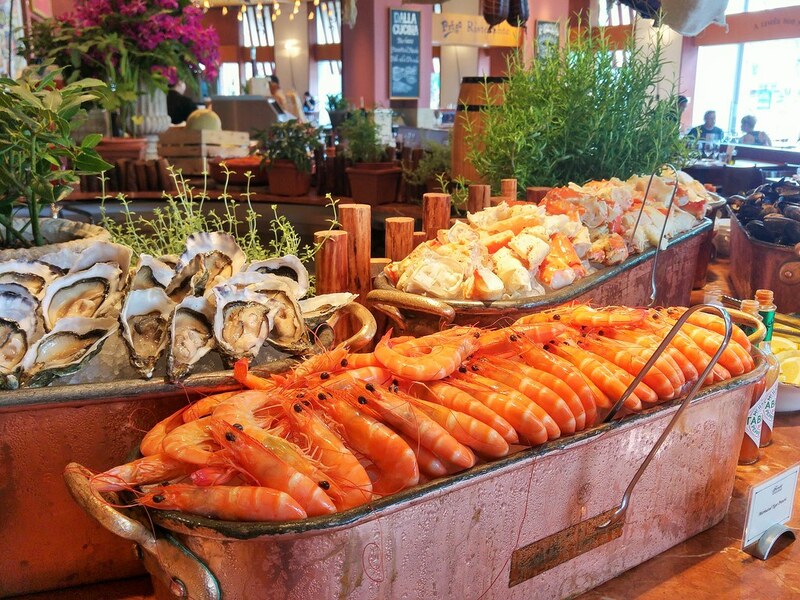 The station that invites you in will be the cold seafood counter where you will get your freshly shucked seasonal oysters, poached Alaskan crab leg, marinated tiger prawns, mussels and scallops. My favourite is definitely their Alaskan crab leg. I was caught heading to their salad bar several times by their manager. Their Signature Vinaigrette simply makes my plate of green so appetizing. I usually don't really dress my salads but theirs make my green even more refreshing. 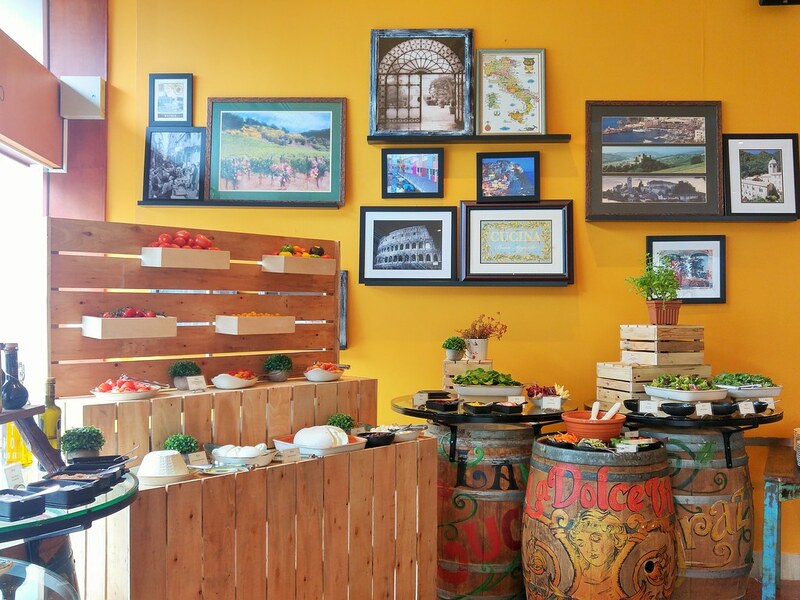 The seasonal counter over here features a Grand Tasting of Heirloom Tomato & Fresh Cheeses - Burrata, Mozzarella, Ricotta Cheese, together with the Truffles and Mushrooms Edition - Wagyu Beef Carpaccio with Truffle Breadcrumbs, Wild Frittata with Mushrooms and Grilled Portobello "Steak" Salad. Be it on its own, with the cheeses or as the 'meat' for my salads, the Grilled Portobello is as satisfying as a good piece of steak. 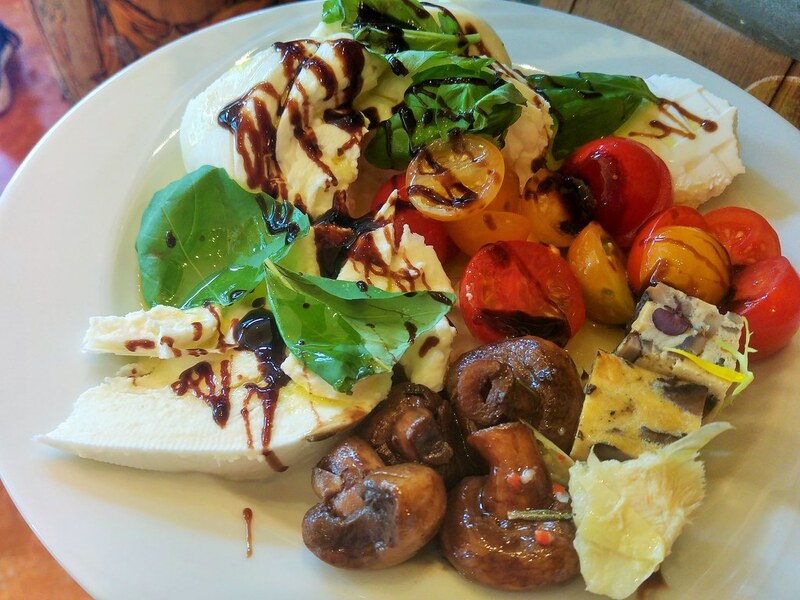 Aged balsamic vinegar, vintage olive oil and gourmet salt are available for you to design your own luscious plate of antipasti. And of course, not to forget the classic combination of burrata and parma ham. 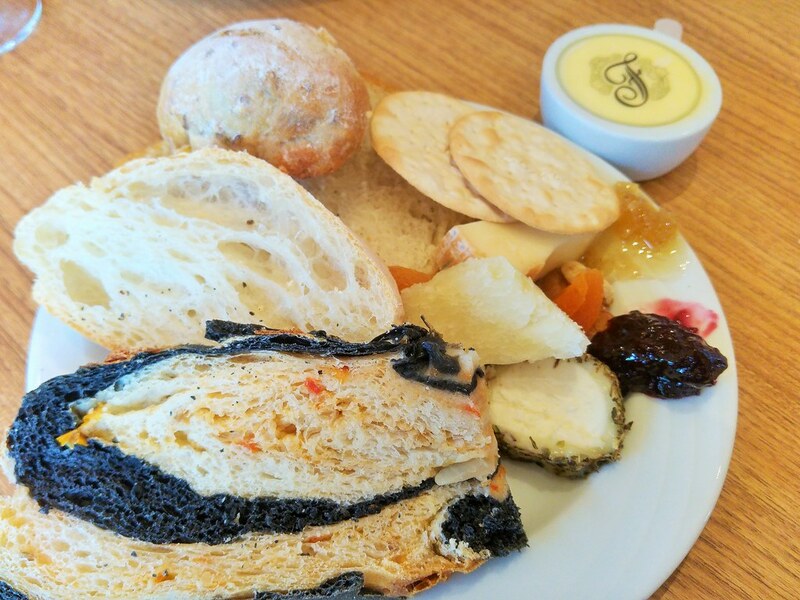 With a free flow of Berlucchi, house wines, I couldn't help but clutter my plate with breads, crackers, cheeses, Fresh honeycomb, fruit chutneys and walnuts. The goat cheese can be really strong, but it works really well with the fruit chutneys and walnuts. It was fun scraping the sticky honeycomb straight onto my fluffy breads and how I wish I could bring one of the butter pods home. At the live pasta station. 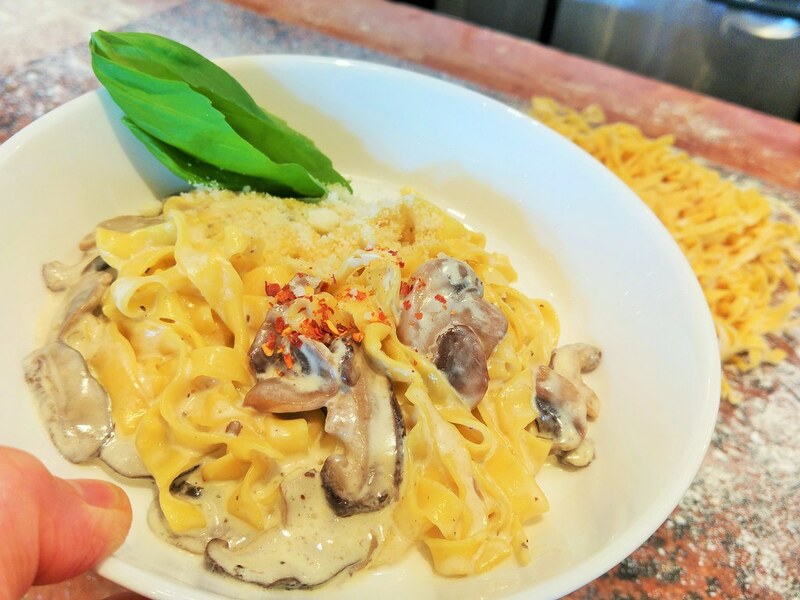 there are a few variety of pastas to choose from such as squid ink spaghetti, ravoli, penne, but my pick is definitely their freshly made fettuccine, or known as tagliatelle to others. I had mine with truffle mushrooms sauce. The eggy pasta, evenly coated with the creamy sauce, remained light and al dente. 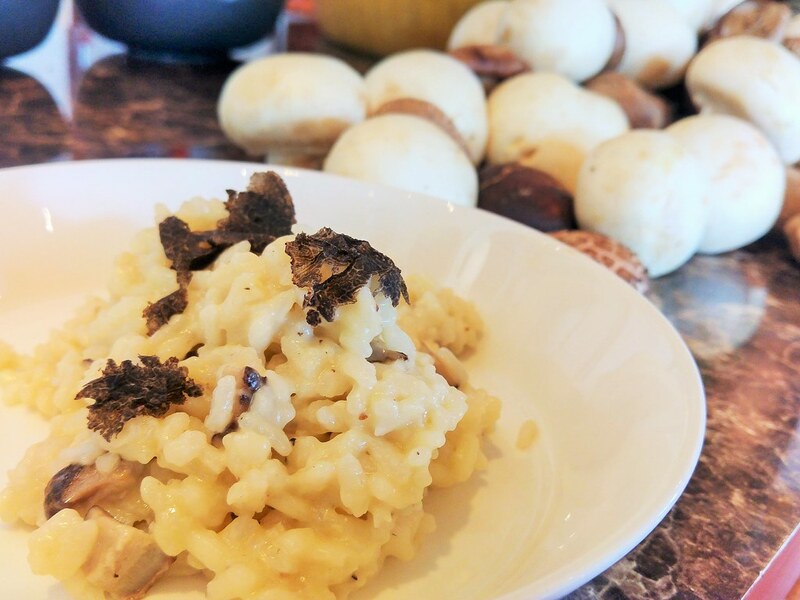 As now is the Truffles and Mushrooms Edition, our risotto, done with Carnaroli Rice and Tuscany Pecorino was adorned with silvers of truffles! I'm pretty impressed with the young chefs who did my pasta and risotto on the spot. From the Sunday roast station, I was lucky to get a taste of their Baked Seabass in Sea Salt Crust. 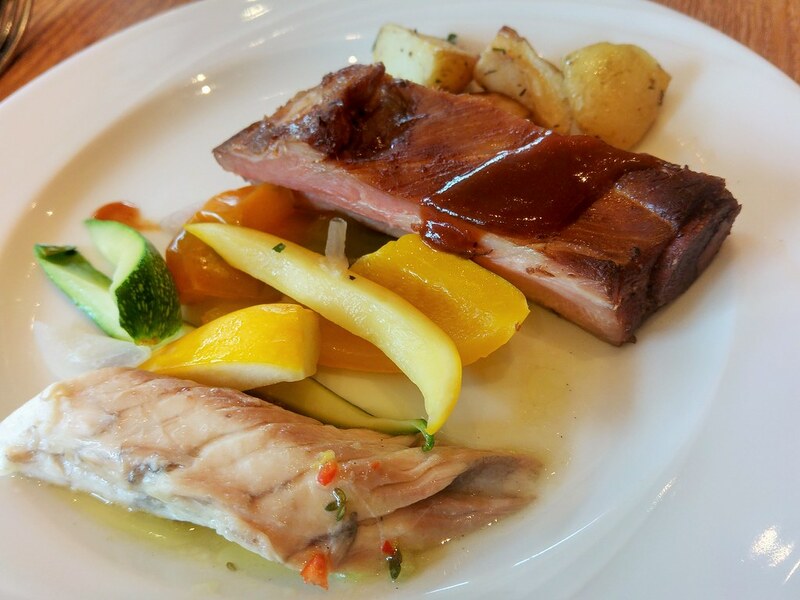 The meat was extremely tender and moist, and the lemony sauce tuned up its flavour a notch. The ribs, on the other hand, was too tough for my liking. 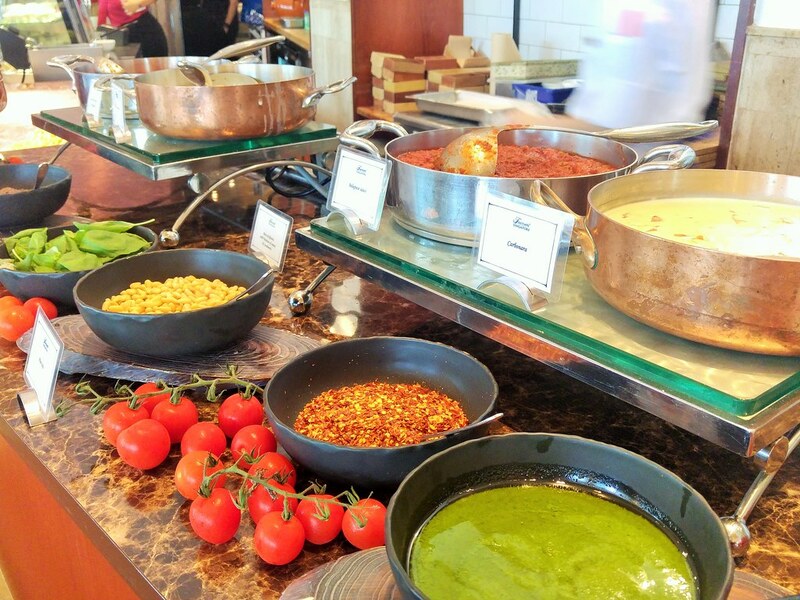 Hearty dishes aplenty at their hot dish station. 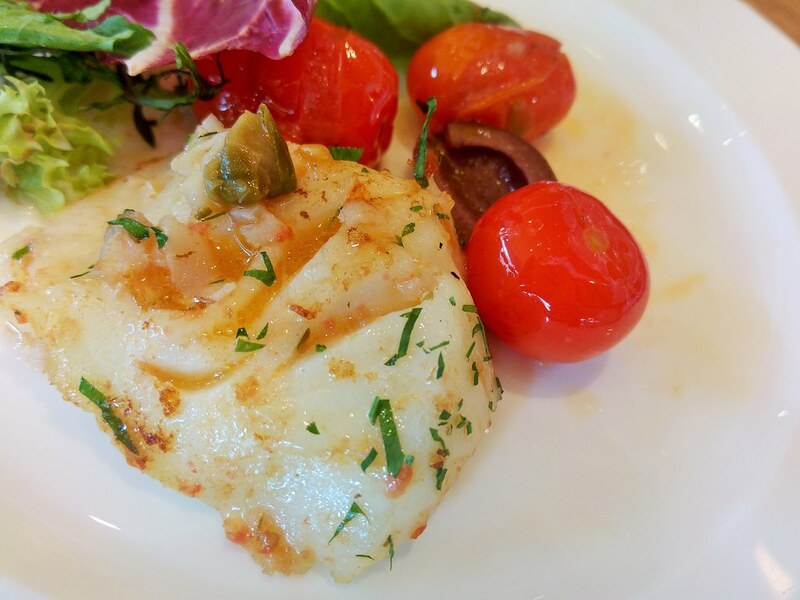 There are items such as Halibut, Cioppino Seafood Stew, Lamb Osso Bucco with cheesy Polenta Cake, Crispy Calamari, and Roasted Eggplant Parmigianino. 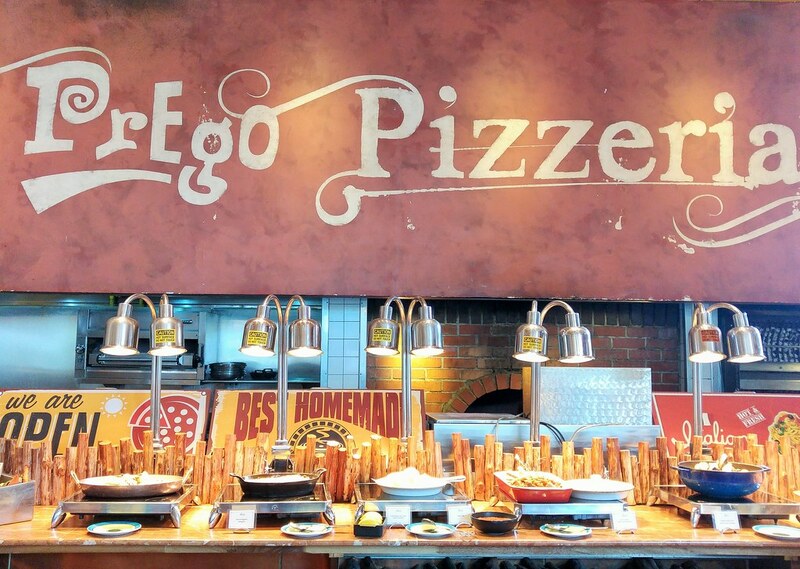 This is also where you will find their next specialty - Prego’s signature wood-fired pizzas. 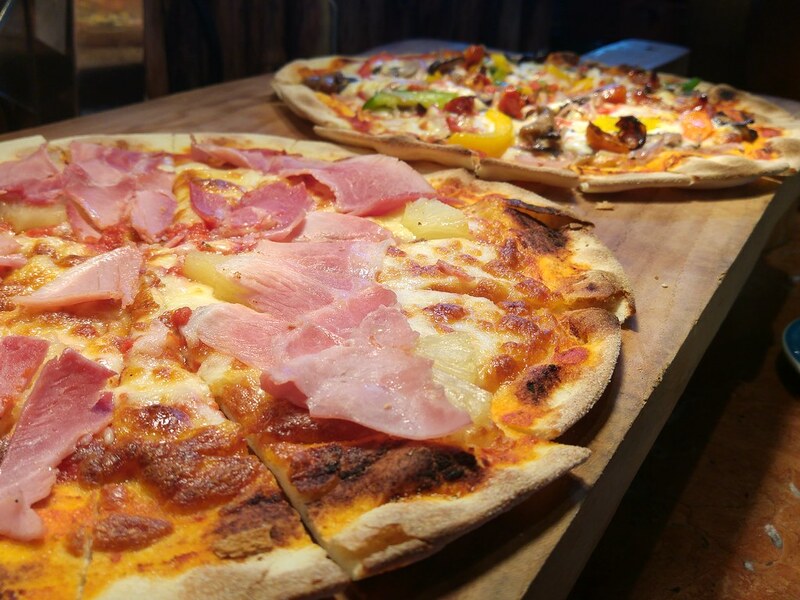 Both the Vegetarian and Non-vegetarian Pizzas are equally yummy - The crust is thin and tasty on its own, and the thickness is just right to support the ingredients atop. I was surprised to find Halibut here, which was grilled to crispy sides. Another dish that would recommend is their Roasted Eggplant Parmigianino. I think Italians are one of the few who manage to grasp the nature of eggplants. 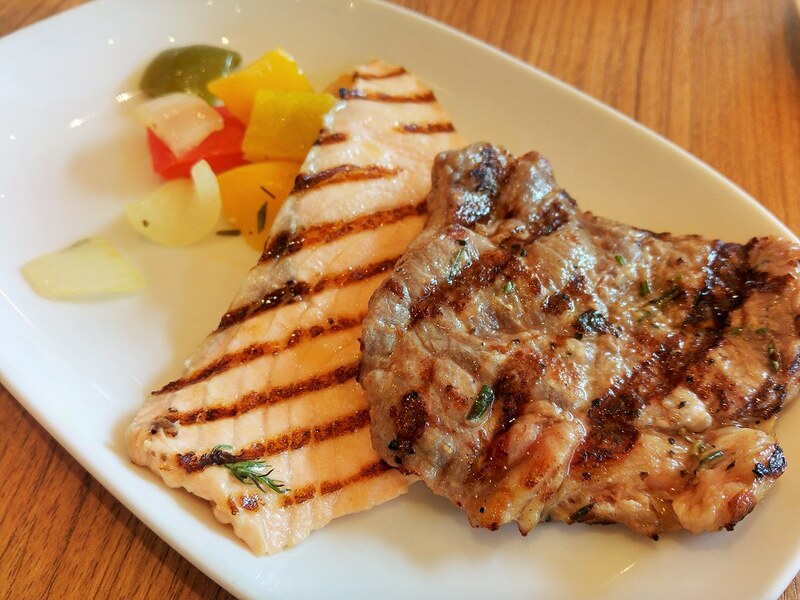 On the same stretch, you will find a selection of meats and seafood such as Lamb Rack with Garlic & Thyme, Salmon Fillet with Dill & Lemon, Beef Sirloin with Rosemary and Chicken Thigh with Lemon & Oregano. Simply take your pick and pass your table clip to the friendly staff. All will be served to your table once done. 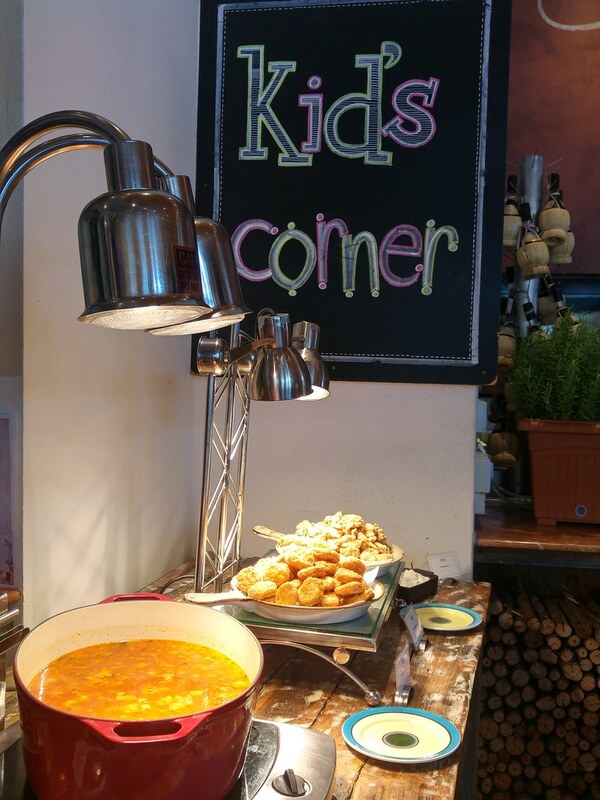 There's a Kid's Corner too! Though I feel it's pretty scrumptious for adults too. I like to start off my meal with a warm soup. Their minestrone makes a good one. And finally, after walking past their dessert bar several times, I could succumb to my temptations. 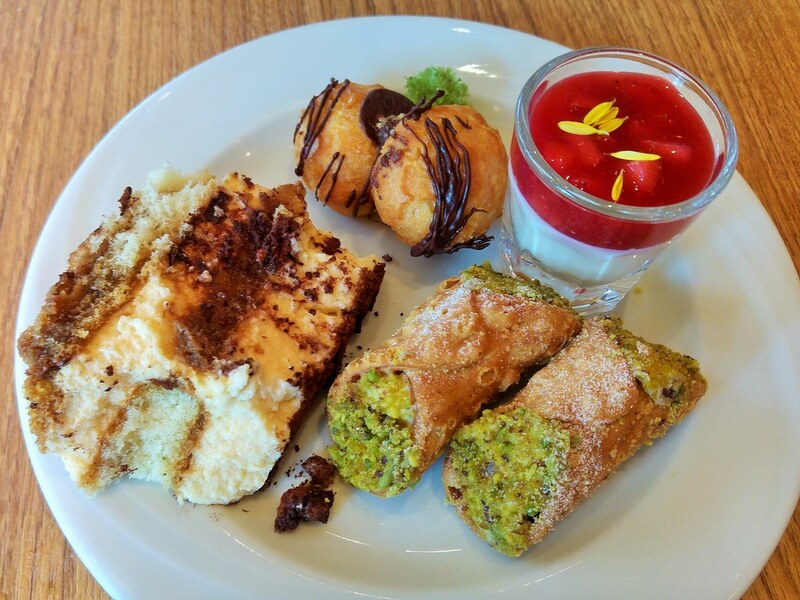 For the first time, I got to try almost the entire range of classic Italian desserts such as Prego’s signature Tiramisu, Cannoli and Panna Cotta. Do leave some space for some others such as Blueberry-Basil Tart and Ricotta Cheese Cake, which you don't find them elsewhere. 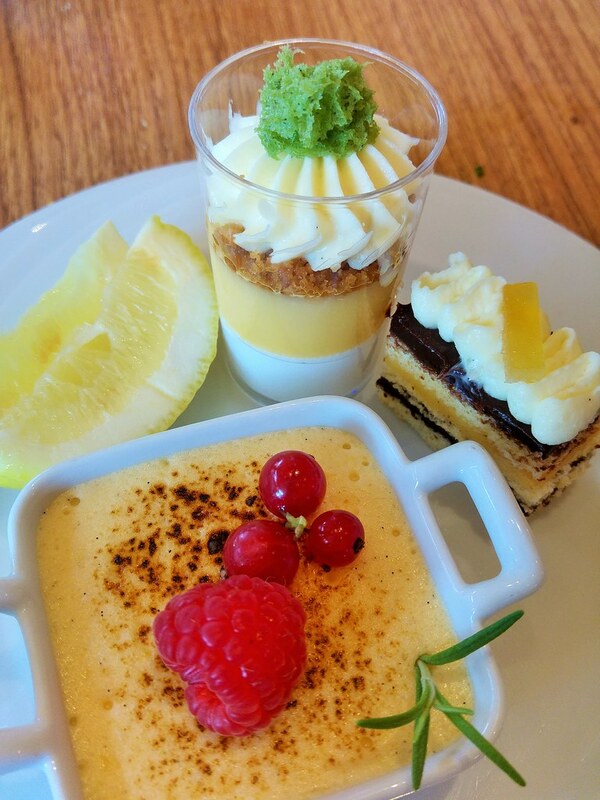 On top of that, there's even a seasonal edition of lemon imbued treats - Lemon Au Gratin, Lemon Crumble and Lemon Sponge Cake with Candied Lemon. Very creative desserts that made use of the zesty characteristic of lemons. That makes me wonder what would be the next seasonal fruit on the table in the following month. With rotational seasonal ingredients on the different counters, there's always something new to engage our appetites and a reason to come back for more. 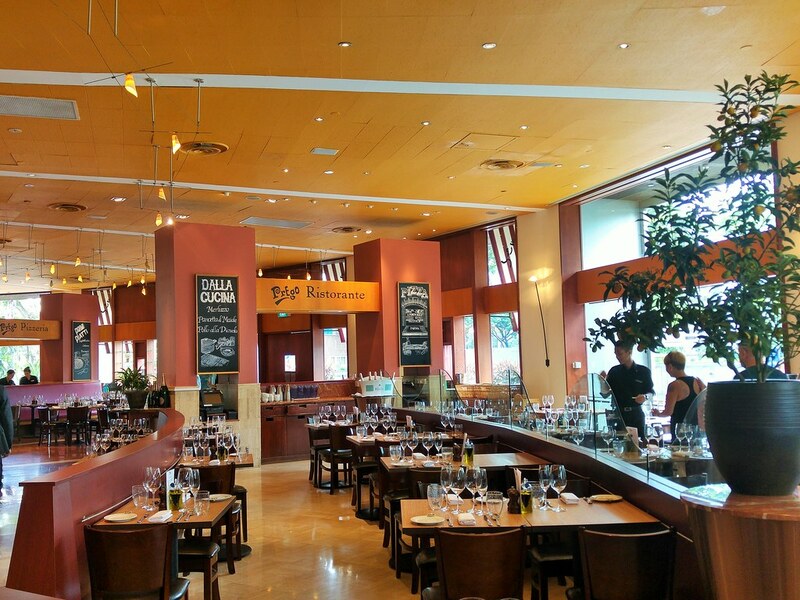 Perhaps it was the natural lights that radiated into our dining premises, I love the warm and upbeat Italian atmosphere in here. Do opt for the ultimate indulgent free flow Berlucchi ’61 Brut Franciacorta to pair with this spread of authentic Italian fare. A leader in the Italian market for practicing the metodo classico style, which is the same production method used to make Champagne, this glass of Berlucchi will set your mood high for the rest of the week! 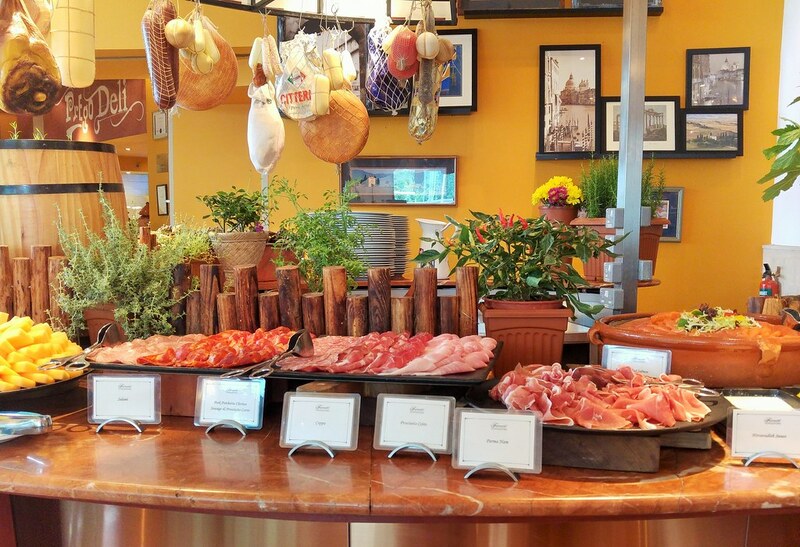 *The menu at the seasonal stations will change according to the arrival of new produce.